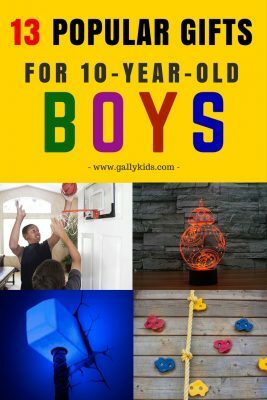 Best Gifts For 10 Year Old Boys In 2019 - Awesome Ideas & Tips You Gotta See! When I think of gifts for 10 year old boys, I think of electronics, sports, science kits, anything funny, something magical, anything Fortnite (or Minecraft) or gaming gadgets. I also think of toys for playing in the outdoors or maybe a good book to read on a lazy afternoon (or for no computer days!). But my ideas are ONLY based on what I know of my own son. The tween boy you’re buying this present for may be very different from mine. 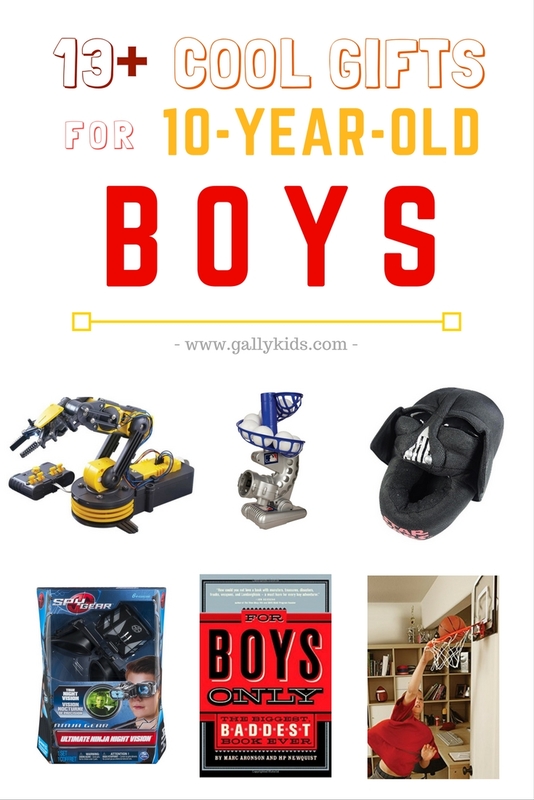 This list of gift ideas for 10 year old boys include different types of items to fit different interests and likes. 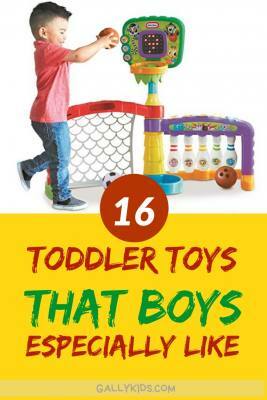 This guide says it’s for boys but I know that girls love many of the stuff here too! So if you’re looking for the best gifts for 10 year old girls, you just might find one in here too! 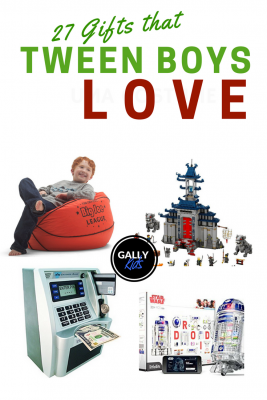 Expensive Gifts For 10 Year Olds: Boys & Girls Will Love These! A robot kit for a boy who is into electronics and playing with robots. The Mecca Spider is a robot that your child builds himself. But that’s only one part of the fun! Once built, your child can then program the robot turning it into a toy with built-in interactive games. It even has built-in sensors so that it moves around the house (and even “attacks” (water spray)). 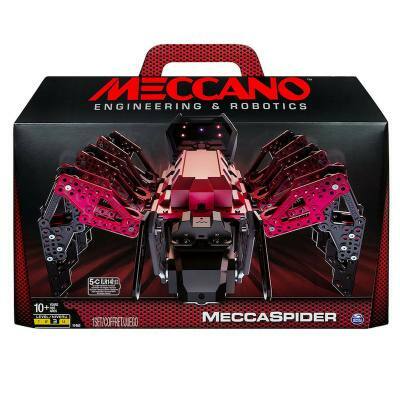 Watch the video below to know more about the Meccano Robot spider with review by TTPM, or Click here to read customer reviews! Here’s one way to help you teach kids how to save money. This ATM savings bank manages kids money and works a lot like an ATM. 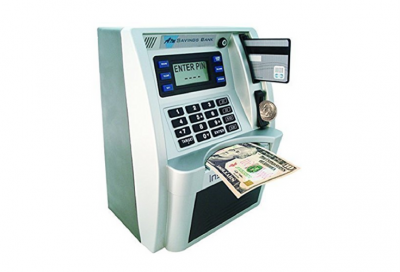 Your child enters a card with his own 4-digit secret code to withdraw or deposit money. A fun way for 10 year old boys to keep people out of their rooms! (after all, isn’t this about the time when they want to have a space all to themselves?). 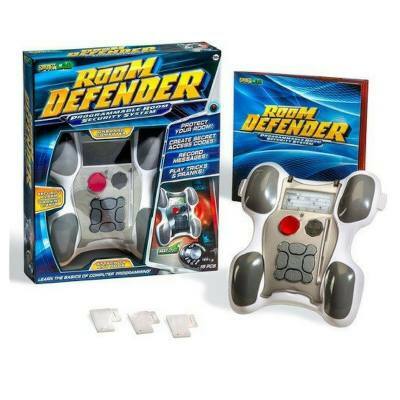 This SmartLab Toys Room Defender is not just a toy. It also teaches programming skills when your child programs it to do the functions needed to “defend” his room. It can do things like ring a doorbell, sound an alarm, play a pre-recorded message and more..
Now, your 10 year old boy can have his very own “hide-out” complete with a security system that acts as a door alarm. He even has his own secret access codes and cards to make sure no one else enters his room without him knowing! From Wimpy to warrior the Navy Seal Way. 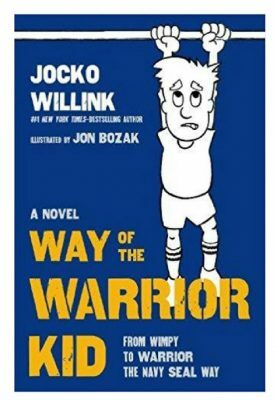 The Way Of The Warrior Kid is a novel that takes the fifth-grader Marc into a fun adventure. He’s the typical fifth-grade boy and his uncle is just about to train him to live life the Navy Seal way. This motivational fiction book plants some important “seeds” in your child’s brain about life such as the value of exercise, courage, teamwork and discipline. The book even teaches them an easy way to memorize a list of things. Read the reviews and see how many children (and teens!) are inspired by this book. 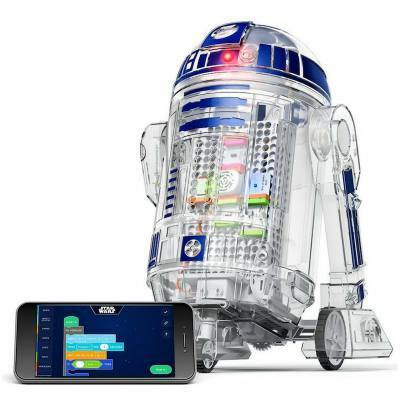 This is for kids who love Star Wars and electronics. Your 10 year old learns how to control electronics by building his very own Star Wars Droid. This is so easy to put together that your child will very likely not need your help at all. First, they get to make their own Droid/R2D2 from “scratch”. And then, they can program it so they can control it as it moves around the house to do different actions like turn, fist bump, draw and more. A durable well-made RC rock crawler for beginners. 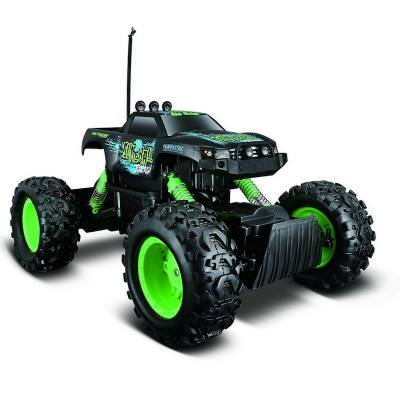 The Maisto Rock Crawler is a fun toy for kids to play with as it can climb over a lot of things. If you buy two, this can be even more as he gets to share it with a sibling (or dad!) and they can have a race. 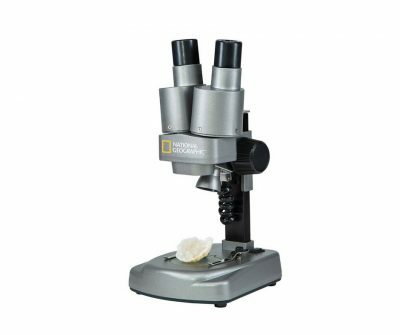 The bestselling Dual Microscope by National Geographic makes for a perfect Science gift for 10-year-old boys. This has two eye-pieces with an interchangeable 10x and 25x magnification. If you’re giving a birthday or Christmas gift to a boy who likes biology, bugs or anything science-related, have a look at this. This is a complete science kit. Apart from the microscope, it also comes with 50 accessories such as reusable blank slides, droppers, petri dish etc. It even comes with a vile of shrimp monkey eggs so your son can watch the eggs hatch! Here’s a starter drone for kids. 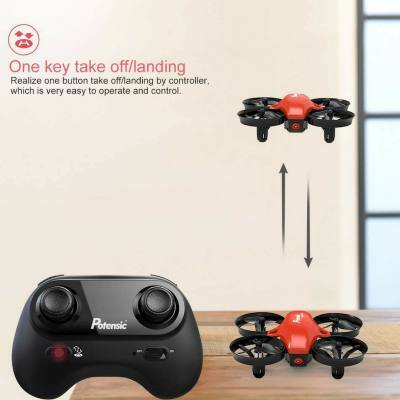 This Mini Drone Nano Quadcopter is small and easy to maneuver. It’s perfect for practicing indoors, if you have the space. 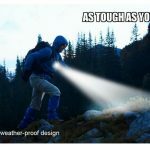 But it’s also just as good for flying outdoors. It has a slow mode feature which makes it much easier for kids to handle. Everything about this drone is made so that it’s safe and kid-friendly. Its’ battery are place in a safe slot and operating it is made to be very easy for beginners to control. It even has an alarm that warns you when it is about to exceed the flight range. Another feature of note is that its slow speed is just the right speed for kids to be able to actually enjoy it while learning how to operate a drone copter. Does your 10 year old boy love to play video games? 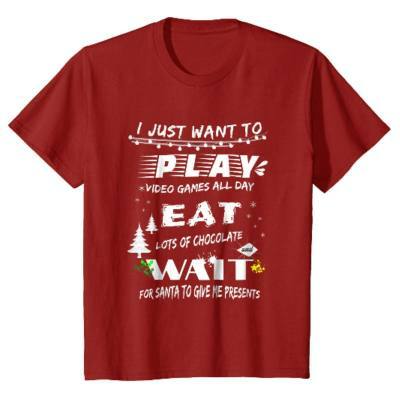 Then this Christmas gamers t-shirt might just be something he’d like to wear for the holidays. And if your not-so-little boy doesn’t like red and would prefer a different color, this shirt is also available in red, gray, navy blue and green. Check it out here. 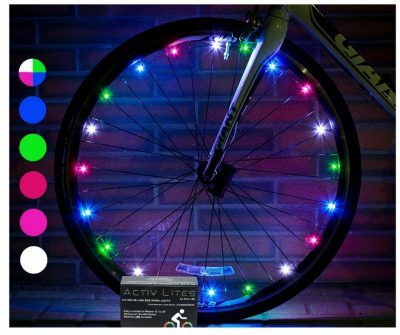 This LED bike wheel lights are not only useful but also look very cool! 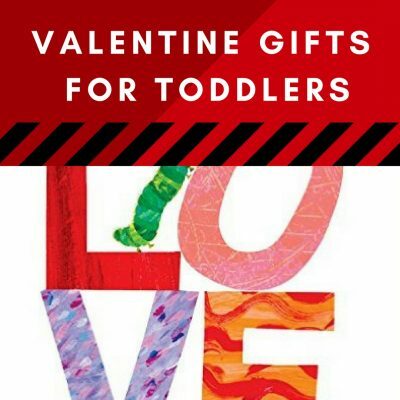 A simple gift and yet one that will be appreciated by both parents and kids. Choose from 6 different colors. You can also set it so that the lights are either always on or flashing. For the boy who likes to ride his bike, give him this wheel lights to keep him safe when riding his bicycle in low light conditions. 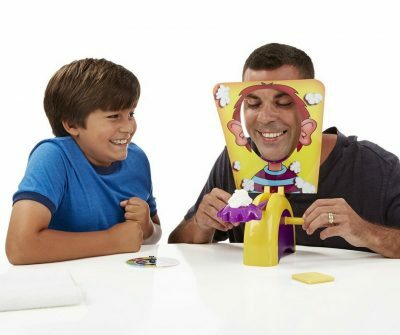 The Pie Face Russian Roulette is a fun game for kids and adults has been around for a while and if you haven’t got it yet, you should. This is a hilarious game that young boys can really get the kick out of. Just look at all the laughter that ensues in the video below. Clearly, the dad enjoys it just as much. How does it work? It’s best to watch the video below to know all about it. It’s a very simple game but one that will have the whole family laughing in no time at all! See what other customers have to say about it! 4.5 Stars out of 1300+ reviews! Here’s a way to make paper airplanes much easier. 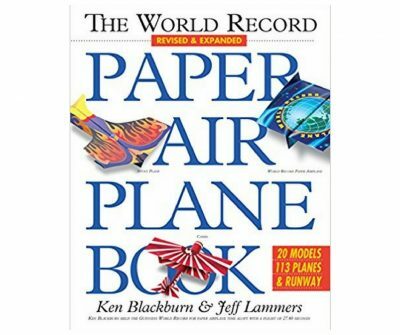 This book has 112 pages of the best paper airplane designs. Your child will learn how to make paper airplanes called the Stiletto, Galactica, Sting Ray and more. Each page already has lines to follow so that your child can easily make the plane. Very fun to make and the whole family can join in the fun too! Here’s one of the cool gifts for 10 year old boys who like Star Wars. These Star Wars slippers will surely come to good use in the winter! 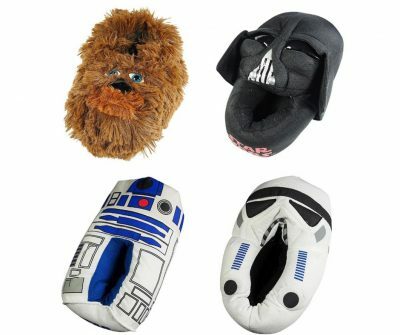 These slippers are available in different designs: Storm Trooper, Chewbacca, R2D2, and Darth Vader. Anything related to Star Wars always goes down well for most boys this age. The good thing is that there are many Star Wars merchandise that your main problem is choosing which one to get. These are popular items so if you’re interested in buying one, grab it before stocks run out. While we’re talking about Star Wars merch, here’s the Millennium Falcon Lamp. 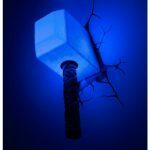 How cool is this lamp for a boy’s bedroom? This brightens any kids room and it’s one bedroom accessory that a lot of kids are going to be proud of. 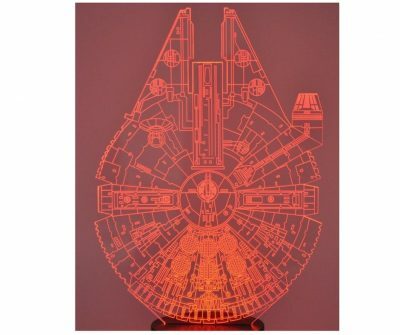 This unique lamp looks exactly like the Millennium Falcon with a nice 3d Glow. It gives out 7 different colors for a nice lovely light in the room. If the Millennium Falcon is not quite what you had in mind, this lamp is available in other designs too like BB8 and Yoda. Check it out! Take basketball inside with this SKLZ Mini Basketball hoop. I don’t know what you’ll think about having all the ball playtime inside the house (I know it’s broken a few things in mine! 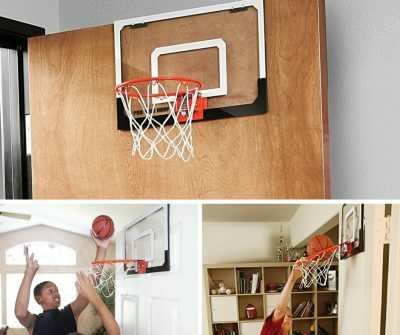 ), but if you’re perfectly happy having a mini hoop inside the house, you’ll love this. This is a well-made basketball hoop with a shatterproof backboard (not to mention at an affordable price!). This can be easily assembled on to a door or the wall or in the garage if that’s where you prefer it. As you can see from the reviews, adults love this, too! Some even have it installed in their offices for downtime! How about that? Does your 10-year-old boy like baseball? This is the perfect gift for him. His very own pitching machine. Now he can play baseball any time he wants. 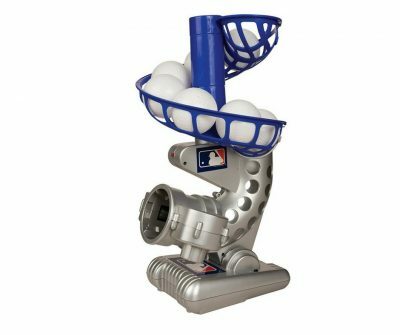 This highly-rated baseball pitching machine pitches a ball every 10 seconds. It even has a red light to show the pitching moment. If you happen to have a dog who also wants playing balls, he’s going to want to play with this too. 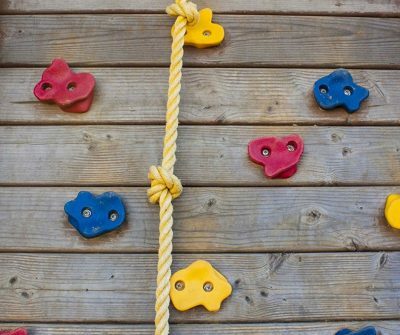 If you spend any time on Facebook or Pinterest, you’ve probably seen one of these climbing walls inside a kids bedroom. It’s an excellent idea. It’s a way for kids to exercise inside the house! It might even get them into rock climbing too. If you have the space in the house and you have an active boy, he’s going to love this rock climbing holds for a birthday or Christmas gift. Of course, you’re not just limited to installing this in the house. If you have a wall in the backyard, so much the better. Get your 10 year old boy reading with one of these books! An awesome book by the editors of Time Magazines, Time For Kids. 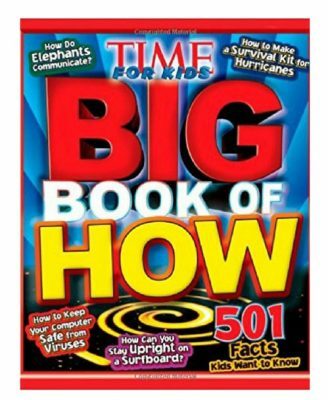 The Big Book of How is a collection of answers to the many How questions that kids (and adults have). The books are divided into different sections: Animals, The Human Body, Technology, Food and Green Living, Survival Preparedness, Sports, Building, Science, and More. Some of the questions are How to make a survival kit, How do beavers build dams, how are 3d- movies made and how do beavers make a dam. The same type of book is also available with different titles: The Big Book of Why and the Big Book of What. 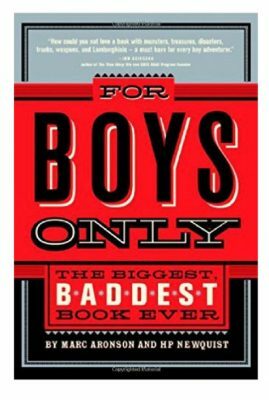 The Biggest Baddest book Ever is one of those books that get 10-year old boys to have some serious fun. 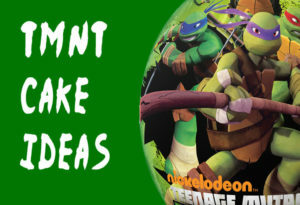 It includes things like how to make fake blood, how to fight a shark, and how to fight off an alligator. But it also has information on things like Wonders of the World, Greatest Moments in Sports History and Things You Didn’t Know but Probably Should. Here we feature two electronic gift ideas. 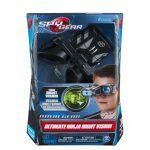 If you are interested in buying these types of items as gifts for 10 year old boys, I suggest that you also check out our list of award-winning Science kits for kids. This link gets you straight to the electronics section . This is about the age when kids who are interested in electronics and robotics can be left alone to tinker and learn themselves. 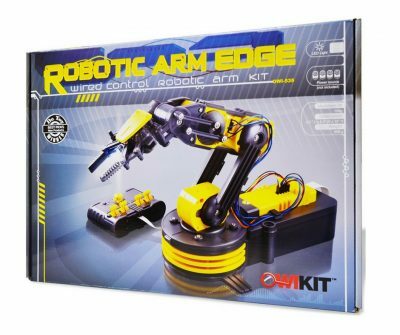 And this OWI Robotic Arm Edge is a good one for them to put together and learn more about robotics. The finished “arm” is a toy that your 10 year old boy will very likely want to play with a lot. The gripper can pick up things (as heavy as 100g), has a wrist motion of 120 degrees and a base motion of 180 degrees. Read what parents say about this kit. 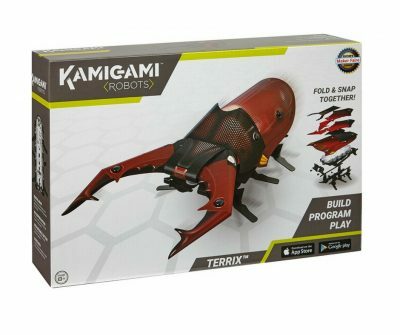 The Kamigami Terrix Robot is much easier to put together than the Robotic Arm edge above, but it’s just as educational. In fact, this robot is designed to teach kids not only to put them together but also how to program it. The robot itself is a work of art and engineering. Kids can also easily learn to program it by downloading an app. A smartphone is needed to control it. It’s a big present, but one that an active boy of this age is going to be playing on for a long time. If you want your gamer-boy to get out of the house every now and then for a bit of fresh air and exercise, this is one way to get him out. Skywalker trampolines are quite popular for home use. But if you also intend to have adults jumping on it, you might want to have a look at the trampolines that have at least 450 lbs weight limit. 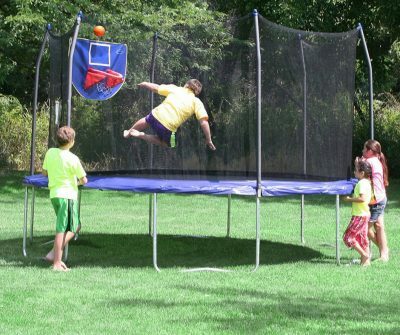 See what parents think of the Skywalker trampolines in the Amazon review section. Not a cheap present by any means. 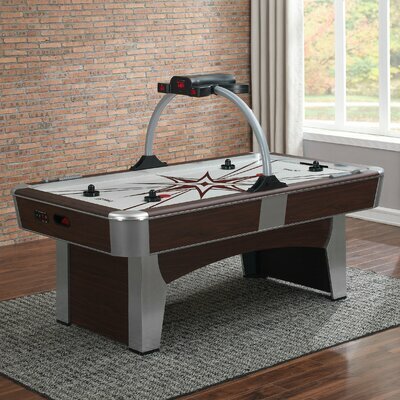 But if you’re looking to add something new to your games room, this Monarch air hockey table is a great addition. This is a well-made table that boys who love sports would love to play with. It’s a well-made table that’s kids can play with for many years. It has an electronic scoreboard and can be easily assembled, too. Very highly rated. Read what customers say about this product.